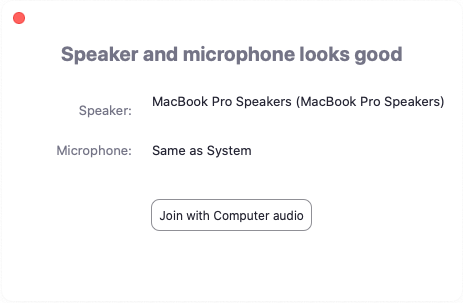 You can join a test Zoom meeting to to familiarize yourself with the Zoom and test your microphone/speakers before joining a Zoom meeting. You can also test your video or audio while in a Zoom meeting. 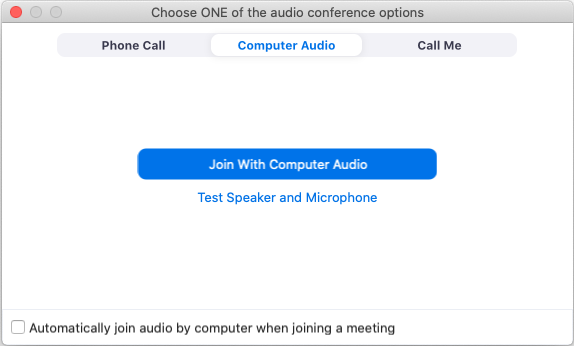 Note: If you are using the Zoom app on mobile, you can visit http://zoom.us/test to join a test meeting, then follow the instructions to test your video or audio. Click the blue Join button to launch Zoom. When prompted by your browser, click Open Zoom Meetings. If you don't have Zoom installed on your computer, follow the prompts to download and install Zoom. 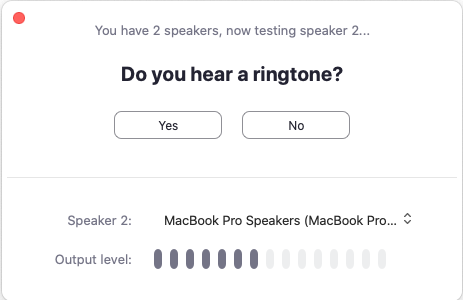 The test meeting will display a pop-up window to test your speakers. If you don't hear the ringtone, use the drop-down menu or click No to switch speakers until you hear the ringtone. 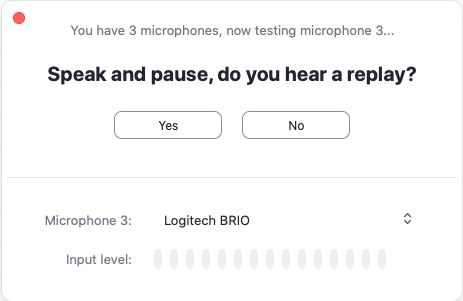 Click Yes to continue to the microphone test. If you don't hear an audio reply, use the drop-down menu or click No to switch microphones until you hear the replay. Click Yes when you hear the replay. You will join the test meeting as an attendee. Learn more about Attendee Controls in a Meeting.